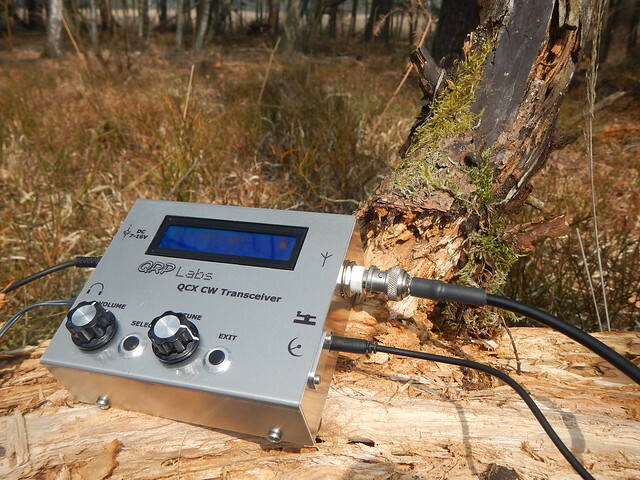 Here’s a link to the transceiver ordering page, along with videos and links to reviews and modifications: I ordered the 20M version because that band is good during the daytime, while 40 is better at night, and I have trouble staying awake after 9. In retrospect, I probably should have ordered the 30M version, because that band is wonderfully uncrowded and has the best propagation characteristics of both 20 and 40. In case you want to get in touch with me, send an email to my callsign @arrl.net. I hope you’ll want to build this along with us. Build it and the GPS unit also so it can be a WSPR transmitter. Fred just built another one. The built-in test instrument suite is really amazing and can be used outboard. Read the discussion on the web site for some ideas of glitches others have found, nothing serious as I recall. I think I removed two turns from T1 to increase power a bit.